Young typically developing children can reason about abstract depictions if they know the intention of the artist. 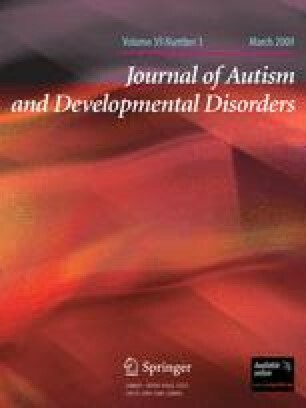 Children with autism spectrum disorder (ASD), who are notably impaired in social, ‘intention monitoring’ domains, may have great difficulty in decoding vague representations. In Experiment 1, children with ASD are unable to use another person’s eye gaze as a cue for figuring out what an abstract picture represents. In contrast, when the participants themselves are the artists (Experiment 2), children with ASD are equally proficient as controls at identifying their own perceptually identical pictures (e.g. lollipop and balloon) after a delay, based upon what they intended them to be. Results are discussed in terms of intention and understanding of visual representation in autism. I wish to thank the children, parents, and staff members at Kaimes School in Edinburgh and the Unitots Nursery at the University of Edinburgh for their participation and assistance. Many thanks also to Sarah Haywood. This work was supported by a Moray Endowment Grant from the University of Edinburgh.